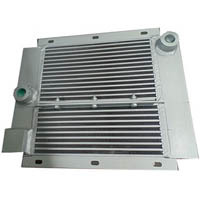 Hydraulic cooler radiator, Hydraulic radiator, Hydraulic oil cooler radiator, Hydraulic oil radiator , Heavy duty radiator, Heavy equipment radiators etc. and Chinese leading brands LIUGONG, SANY, ZOOMLION, XGMA, XCMG, JIAHE, YUCHAI, JONYANG, ZHENYU, HENGTE, FTW, LONKING etc. Customized radiators according to your requirements also be provided.